The US dollar is narrowly mixed as Yellen's speech in Chicago is awaited. The greenback's three-day advance against the euro and four-day advance against the yen is at risk. Sterling, however, is lower for the sixth session, following the weaker than expected service PMI (53.3 vs. 54.5 in January and 54.1 expected). The dollar-bloc currencies, where speculators in the futures market had gone net long, continue to underperform. The dollar-bloc along with sterling are the weakest of the major currencies today. On the week, the Canadian and New Zealand dollars have lost about 2.5%, while the Australian dollar is off 1.6% and has broken out of the month-long $0.7600-$0.7700 range that had largely confined the price action. If Yellen (or Fischer) want to push against expectations for a hike on March 15, today may be the last opportunity. This seems unlikely, given the recent comments by Dudley, but also Governors Brainard and Powell. There appears to have been a relatively sudden change in the official rhetoric, and it has been seemingly without exception. We had thought the word cues in the minutes ("fairly soon") did not imply March, given the previous signals before the December 2015 and December 2016 hikes. We thought June was too far but thought May was more promising and had the added advantage of giving the Fed greater degrees of freedom. The Fed will eventually need to have the flexibility to raise rates at half of its meetings that forecasts are not updated, and there is no press conference scheduled. An important part of the shift in the rhetoric of Fed officials is that the rate hike is not tied to any specific trigger, such as stronger data or more improvement in the labor market. The general economic conditions and proximity to the full employment and price stability goals are sufficient, and officials are simply looking for appropriate opportunities. The broader context, including stronger world growth and a stable dollar (which eased on a broad trade-weighted basis in both January and February), is also conducive. The failure to raise rates would be potentially more destabilizing that raising rates. Investors, seeing the rising prices and improving labor market (with weekly jobless claims at new cyclical lows) would wonder at least two things: What does the Fed know that we don't and is the Fed slipping behind the curve? It does not seem as if Fed officials have let expectations build to such a degree (nearly 90% by Bloomberg's calculation and almost 80% in the CME's estimate) without delivering. The market's focus is squarely on Yellen (and Fischer), with today's economic data having little impact. Japan and EMU data were constructive, while as we noted the UK service PMI and China's Caixin PMIs were not so strong. Caixin's composite rose to 52.6 from 52.2, which reflects the gains in the previously reported manufacturing survey as the services PMI slipped to 52.6 from 53.1. The composite rose to 52.6 from 52.2. Japan reported a slew of data. The most important were the CPI. The Japanese core rate, which excludes fresh food, rose 0.1% year-over-year in January. It was the first positive year-over-year reading since December 2015. Excluding food and energy, like the US core, consumer prices rose 0.2% after a 0.1% increase in December. The unemployment rate also ticked lower to 3.0% from 3.1%. That is where the good news ended for Japan. The services and composite PMI slipped (51.3 vs. 51.9 and 52.2 vs. 52.3 respectively). However, the more worrisome sign was the unexpectedly large 1.2% year-over-year decline in overall household spending. It was expected to have fallen 0.4% after a 0.3% contraction in the year through December. Purchases of homes and autos were particularly soft. Japan's Topix gapped higher yesterday but retreated today to fill the gap and finished near the middle of the day's range. 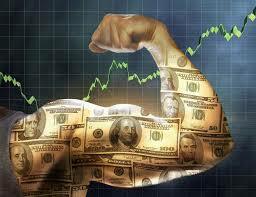 The dollar moved above JPY114 in the middle of the week. It closed above there yesterday and is holding above there today as it consolidates. Optionality is thought to be discouraging a run to JPY115.00. The composite eurozone PMI was unchanged from the 56.0 flash reading, which as you will recall, was a marked improvement from January's 54.4, though the service PMI was a tad softer than the flash. The composite averaged 53.9 in Q4, which suggests some upside risk to growth. In the country reports, Germany was as the flash indicated, and both Italy and Spain surprised on the upside. That leaves France as the source disappointment. The service PMI was revised to 56.4 from the flash's 56.7. The French composite is at 55.9 rather than 56.2 that the flash estimate had it. Disappointment comes from the January retail sales. German retail sales were the likely culprit. They fell 0.8%. The Bloomberg survey produced a median forecast of a 0.3% gain. Recall December was flat and retail sales in November fell 0.7%. German retail sales have not grown since October (though fell in August and September too). Retail sales for the eurozone fell 0.1% in January compared with expectations for a 0.3% gain after the 0.5% contraction in December, which were originally reported as a 0.3% decline. Eurozone retail sales have now fallen for three consecutive months and five of the last six. The disappointing consumption and the stable core CPI (0.9%) will give Draghi fodder to push back against some hawks at next week's ECB meeting. The French premium over Germany narrowed this week at both the two- and 10-year tenors. And it took place at higher absolute yields. In some sense, the French political picture is clearing. Fillon's campaign is in trouble as reports suggest that the center-right Republicans are abandoning it. Macron's support is increasing. Neither Macron nor Le Pen has a parliamentary coalition (Macron's new party has no members in parliament, and the National Front has two seats). The first round of the presidential contest is April 23 and the second round is May 7. In June France goes back to the polls to vote for parliament (June 11 and 18). Oil prices are stabilizing after a three-day slide that brought the April light sweet futures contract to the lower end of its three-month trading range. Even though OPEC appears to have cut output for the second month in February, US output is rising, and at 9.03 mln barrels a day, it is the highest since last March. Moreover, US oil inventory continues to rise. The EIA estimates a 1.5 mln barrel build in the past week that raises the year-to-date accumulation to 41 mln barrels. Lastly, we note that the S&P 500 gapped higher on Wednesday and did not enter the gap yesterday. US shares are trading lower in Europe, and the S&P 500 is expected to open lower. The gap is an important technical consideration now. The gap is found roughly between 2367.8 and 2380.1. The gap will likely be entered but is not necessarily bearish. A close below the bottom would likely be sufficient to be concerning for next week’s activity.